Yes, those are my friends... or at least the one in the blue is. I'm not taking ownership of the front dude. Am I bandwagon fan? Maybe. I usually go to a couple of Bruins games a year, and they're always fun. 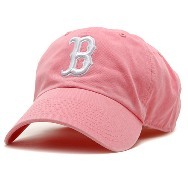 But in my defense to all the people who yell about pink hats - meaning bandwagon fans/girls who are SOO proud the Bruins scored a touchdown in the fourth inning! - the playoffs are when things get exciting. It's easy to be a diehard Pats fan, given that Sundays are religiously about chili, couches, and Belicheck, but my schedule/life don't really allow me to be a diehard for any other sport. 1 o'clock Sox games tend to be lost in a mix of meetings/homework, but I'll jump at the chance for a night at Fenway, and I'll watch when the going gets good. If that makes me a pink hat - liking to watch games that count for something - then that's a-ok.
Is anyone else in love with Ben, of Ben Does Life fame? Other than a minor transgression where he supported the Canucks, (woof), he makes my heart melt. He's the biggest loser without Bob and Jillian, just changing his mind and changing the world by telling his story. Saturday, he's kicking off a nationwide "do life" tour to get you and me off our couches, and it's starting in Boston! I plan to wear my finest black and yellow running apparel, because this do-life run/meet up will serendipitously coincide with the Bruins parade. KARMA on that Canucks thing, eh? Anyone else who wants to Do Life - here's the schedule. See you on Saturday!